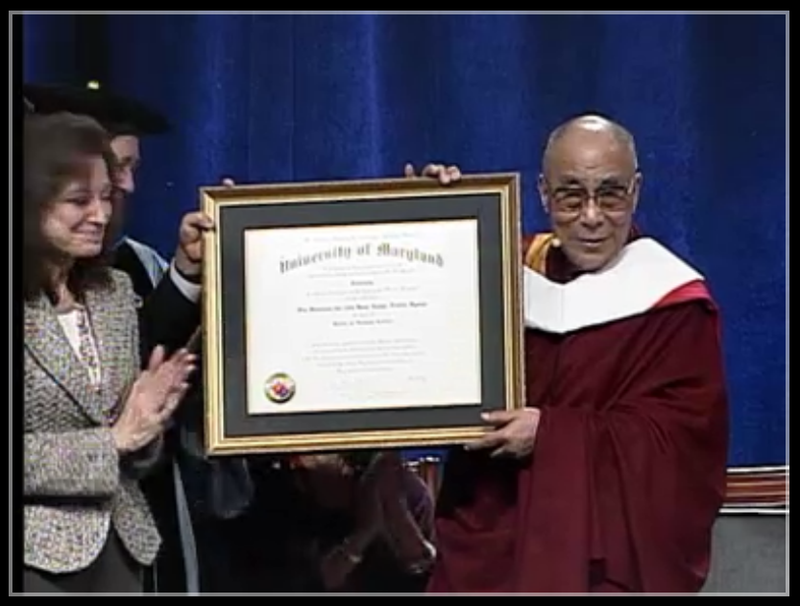 Unfortunately I wasn’t able to procure a ticket to see His Holiness in person, but I still watched the simulcast of the Dalai Lama receiving his Doctorate of Humane Letters from the University of Maryland today. Of course I was at work during the event so I could not pay attention as closely as I would have liked; I will certainly have to re-watch later today. When I was stopping in College Park for a coffee this morning, I could hardly believe that I was occupying the same town at the same time as the Dalai Lama. I can only imagine how everyone in the Comcast Center this morning must have felt! What a meaningful and uplifting way to spend a rainy Tuesday morning.